Who doesn’t love a good old Brawler game? Well, Blowfish Studios has one coming to the Nintendo Switch which, takes place in a war between Angels and Demons. Obey Me follows Vanessa Held as she fights her way through hordes of violent denizens whilst trying to uncover a conspiracy. The top-down co-op Brawler game will be coming to Switch, PS 4, Xbox One and PC sometime in the third quarter of 2019. We have the official press release below along with an annoucement trailer for the game. 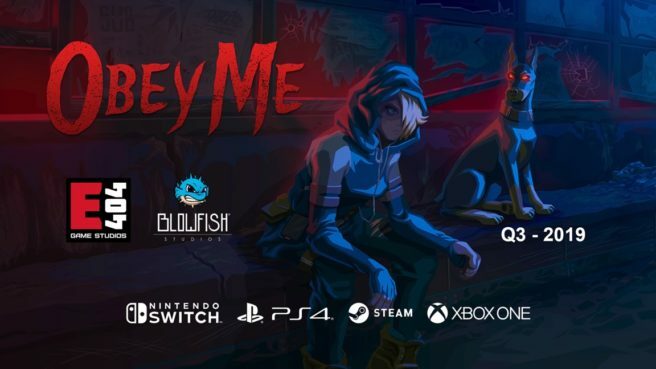 SYDNEY – Jan. 16, 2019 – Obey Me, the cooperative holypunk brawler fromBlowfish Studios and Error 404 Game Studios, fights through hordes of demons onto Nintendo Switch, PlayStation 4, Xbox One, and Windows PC in Q3 2019.